Travel the world with Garritan sounds. Garritan World Instruments is a unique, comprehensive sound library featuring more than 350 instruments from around the world. Includes a large variety of wind, percussion, and string instruments from India, Japan, Africa, China, the Middle East, Latin America, Australia, and other regions. Create various sections and groupings from traditional Chinese orchestras to Gamelan ensembles, from Taiko groups to Bollywood bands, and more. 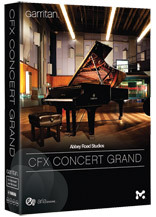 It is a great tool for all types of music composers and producers including orchestra, film, and game audio. The Garritan World Instruments sampled sound library is powered by the high-performance ARIA PlayerTM. Supports Mac and PC, works as a standalone program or as a plugin, and easily integrates with most notation software and DAW/sequencers.